As reliable today as when your granddad first bought a pair. In 1957 LaCrosse Footware introduced the Grange. 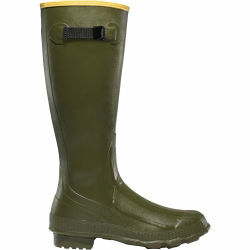 A non-insulated, do-it-all rubber boot that customers knew they could always trust. Today, these boots are alive and well. They’re still made from proven ZXT Rubber. They’re still built to perform under the harshest of conditions. And they’re still the boots you can call on to get the job done.